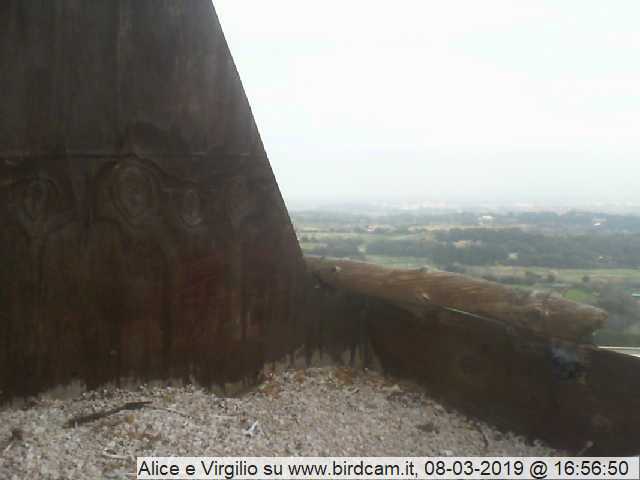 Alex and Vergine nest in a nestbox installed on the highest water tower in Rome, at the spring of the Acqua Vergine, which has been providing water to the centre of the city for centuries. 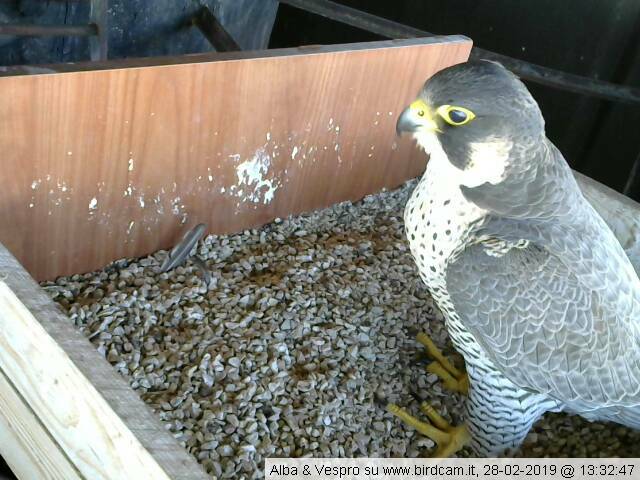 In 2019 a new non-ringed male, Alex II, has taken the place of the old one. 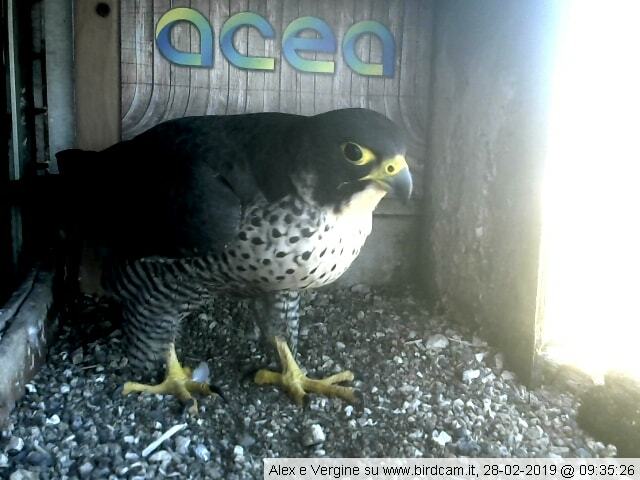 Nella stagione 2019 è subentrato un nuovo maschio non inanellato, Alex II. 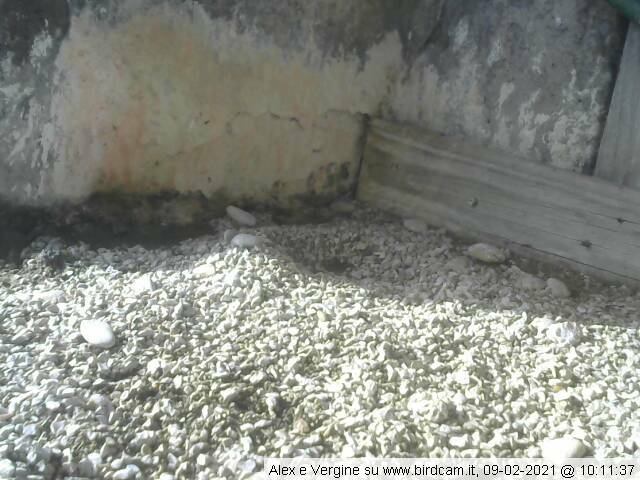 This webcam broadcasts from 6 AM to 8 PM. 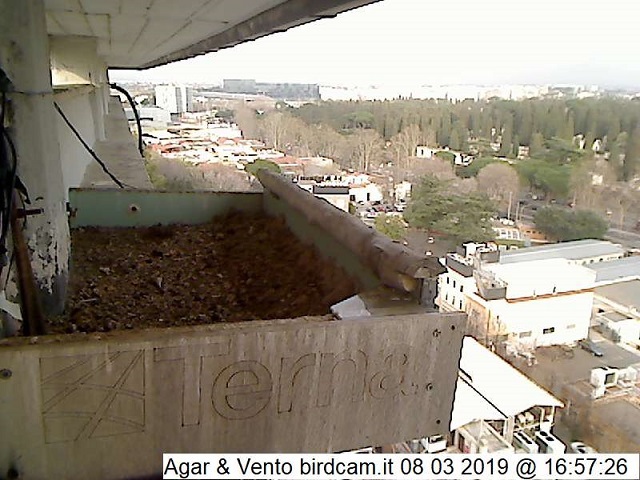 Since 2004 Ornis italica, the association of ornithologists running the Birdcam.it project, is in charge of installing and maintaining webcams on the nests of wild birds. 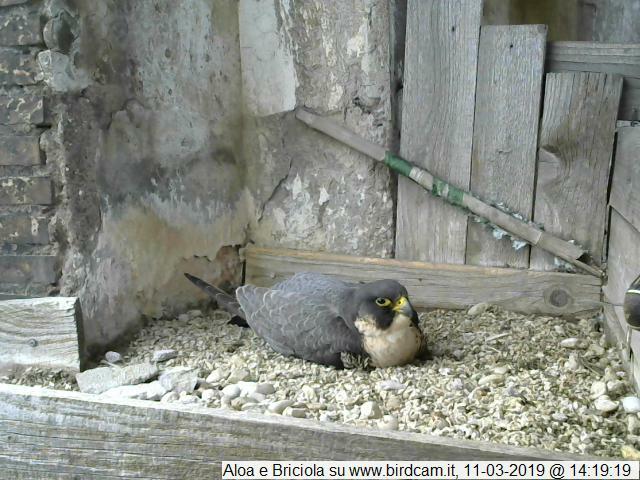 All webcams broadcast to www.birdcam.it. Follow this nest on our forum!